Tyson Foods, Inc., has recalled more than 36,000 pounds of chicken nuggets because they may be contaminated with rubber. The U.S. Department of Agriculture’s Food Safety and Inspection Service said the problem was discovered when Tyson received complaints from consumers who said they had found rubber in their chicken nuggets. 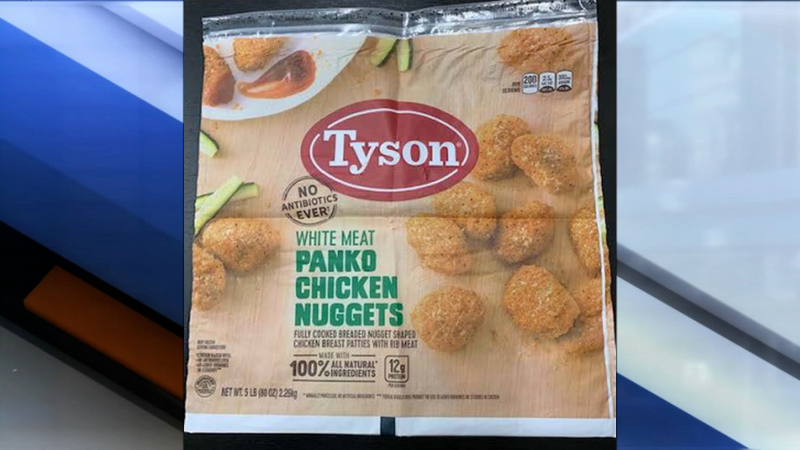 The recalled chicken nuggets were sold nationwide and include the 5-lb plastic packages of “Tyson WHITE MEAT PANKO CHICKEN NUGGETS” with a “BEST IF USED BY” date of “NOV 26 2019,” case code “3308SDL03” and time stamps 23:00 through 01:59 (inclusive). 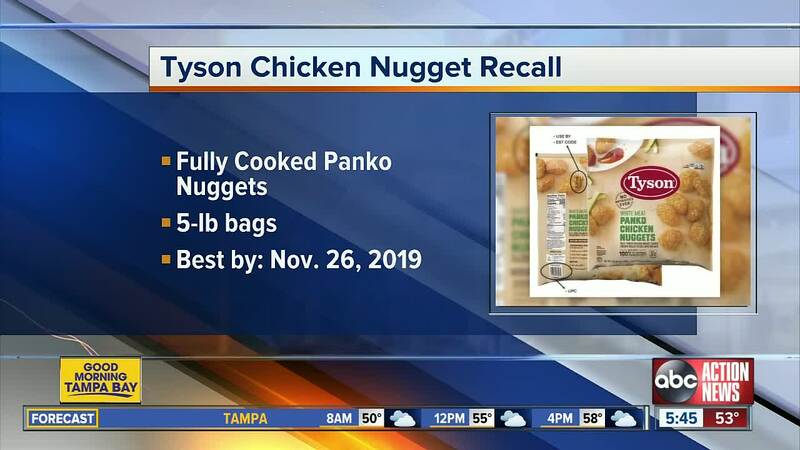 Consumers who purchased the recalled chicken nuggets are urged to throw them away or return them to the place of purchase.